Mitch Winehouse, the father of the late Amy Winehouse, has signed a publishing deal with HarperCollins. 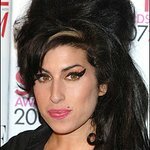 His new book – to be titled Amy, My Daughter – is being released worldwide in summer 2012. All proceeds from the book are going towards The Amy Winehouse Foundation.